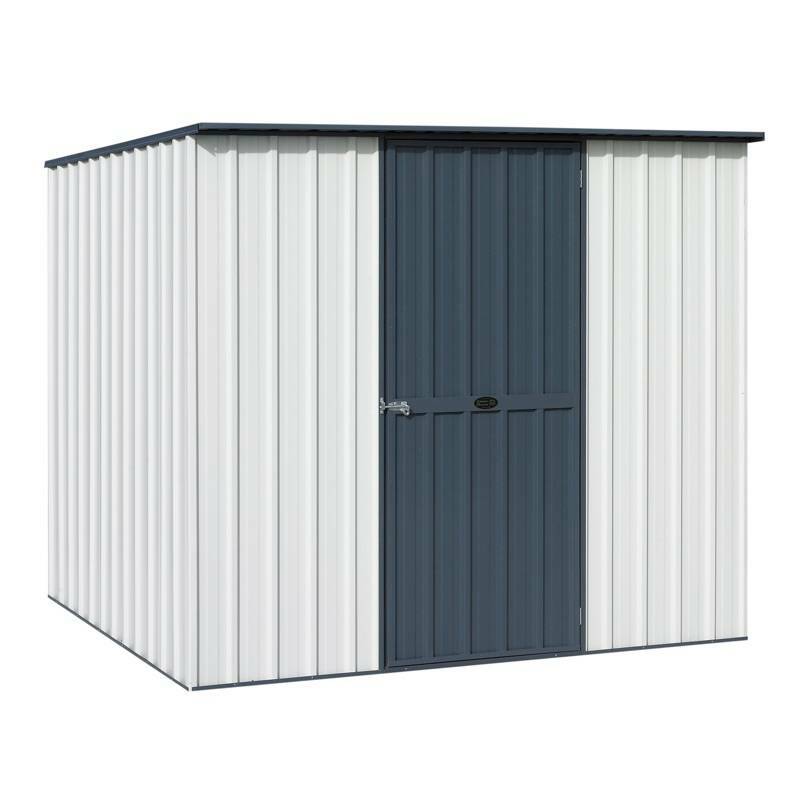 2.28W x 1.83D x 1.83H (low side) sloped roof garden shed with a single door in the middle of the front wall. 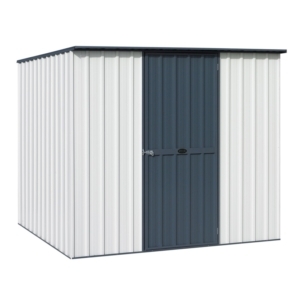 Apart from being available in a wide range of colours and sizes, Garden Master sheds are also very easy to build. 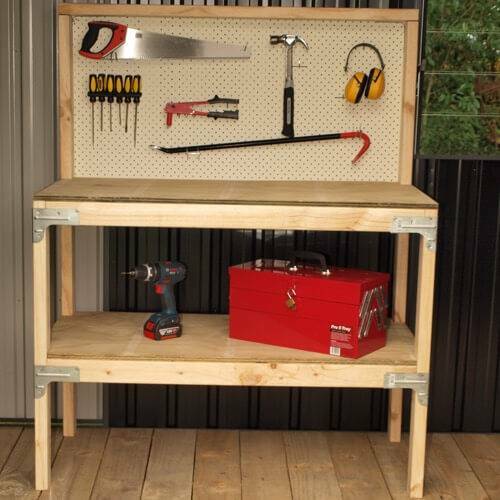 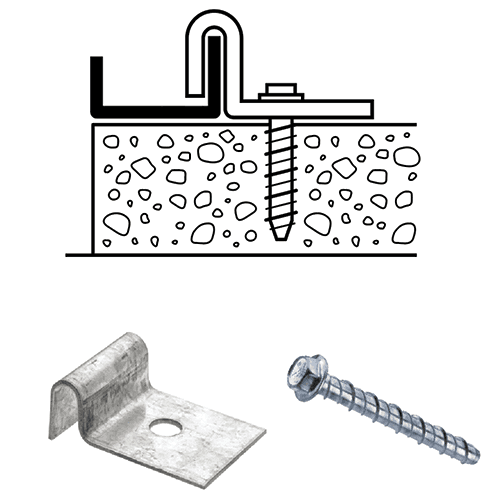 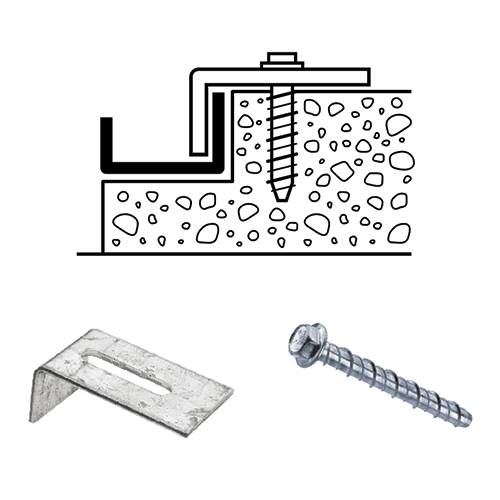 All you need is a drill, screwdriver, riveter and a tape measure. 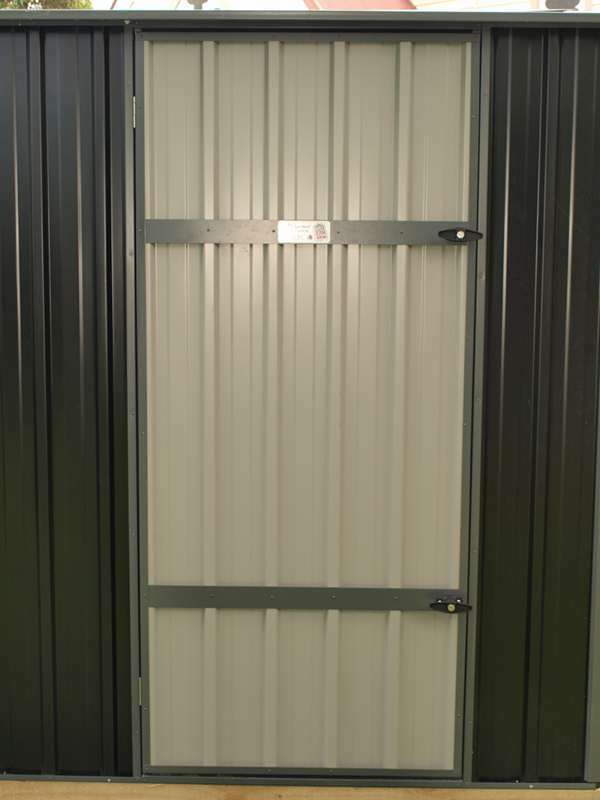 It’s also easier if you have a friend to help hold things. 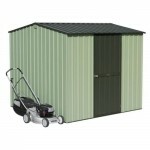 An instructional DVD and written instructions come with every shed. 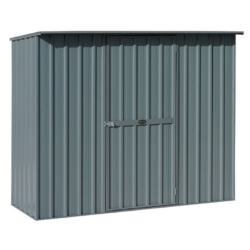 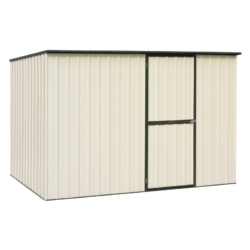 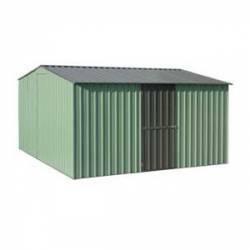 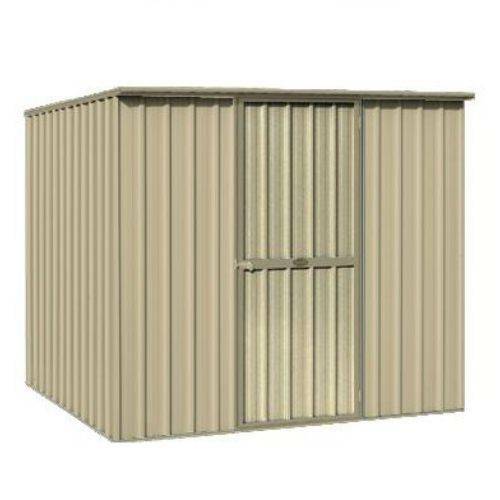 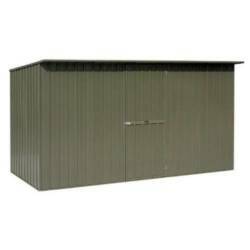 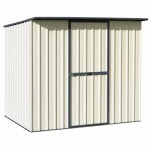 As for this one, it’s a sloped roof shed measuring 2.3×1.8m, available now to be delivered direct to your door.